In recent months, my position as both a wellness journalist and a cannabis advocate invites one particular question over any other: What's the deal with CBD? From my perspective, the non-psychoactive compound might be the most ubiquitous health trend of 2018, and that's certainly true in my current home of Los Angeles. CBD-infused creams and tinctures line the shelves of local organic grocery stores, claiming to alleviate symptoms ranging from inflammation and muscle soreness to anxiety. Moon Juice, the cult-favorite superfood destination, started peddling CBD-infused smoothies earlier this year. It was a huge topic of discussion at a wellness panel I moderated several weeks ago with WeWork and a group of industry experts. And I knew the buzz had officially reached its fever pitch when my mother began asking me if CBD might help with her chronic insomnia. Given its novelty and the residual stigma surrounding cannabis use, it's not exactly surprising that CBD is the subject of many questions and, more often than not, misinformation. Even scientists who have devoted a lot of time to studying the compound and its many (many, many) potential benefits are still pushing to learn more about it. But the existing research on CBD is fascinating, incredibly promising and only emphasizes just how wide of an audience it might be able to serve. Anecdotally, I have come to rely on CBD to keep anxiety at bay, assuage period cramps, and relieve soreness after a tough workout. 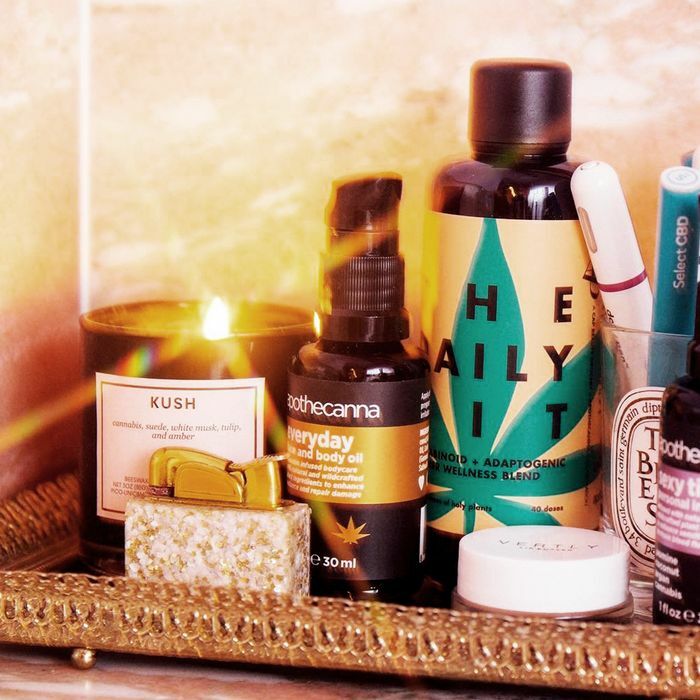 Still, whether you've already begun dabbling in CBD or have only maintained a distant curiosity thus far, it's worth knowing exactly how it works with your body—and how to shop for it like a pro. For that, we turned to Charlotte Palermino, a journalist, cannabis expert, and co-founder of Nice Paper, a digital publication created to educate the masses on the science and social issues surrounding weed. Get your crash course on CBD below. "If you feel high from CBD it's because you either are having a placebo effect or are experiencing life through the lens of reduced stress—welcome!" says Palermino. "That or you accidentally took THC." This is because unlike THC, CBD does not bind to the neural receptors that are responsible for making you feel buzzed. The human body actually produces its own cannabinoids that aren't dissimilar from the compounds found in hemp and cannabis plants. The endocannabinoid system is a complex network that helps regulate sleep, mood, our immune system, pain, and appetite, among other things. When we consume CBD, it enhances the endocannabinoid system in a variety of ways. Researchers have found that it helps temper chronic pain and inflammation, for example, and several studies have emphasized its anti-depressant and anti-anxiety capabilities. Palermino notes that some products will try to pass off hemp oil extract and cannabis sativa extract as CBD, duping consumers in the process. "Both of these mean you're getting hemp seed oil, which has no CBD," she says. "In order for a product to actually contain CBD, cannabidiol needs to be listed as an ingredient. On top of that, having a dosage (how many milligrams) makes it more legit." There's a significant amount of research that illustrates just how much cannabinoids play a role in regulating chemicals like oxytocin, serotonin, and dopamine—all hormones tied with mood and social behavior. In one 2011 study, scientists found that increasing cannabinoid levels enhanced the effects of antidepressants, for example, while blocking cannabinoid receptors eliminated those effects altogether. This further emphasizes just how much the endocannabinoid system and these feel-good chemicals are intertwined. Some scientists have also zeroed in on the compound's potential benefits for social disorders. In another 2011 study, researchers asked a few dozen participants with social anxiety to speak in front of a large audience. Those who were administered CBD reported far less anxiety than those who had received a placebo or nothing at all. Meanwhile, Israeli researchers recently found that 80% of a group of autistic children reported improved symptoms after receiving CBD—and that was after conventional drug therapy had failed to do the same. Anandamide is a compound our body produces to regulate pain, as well as mood and reward. Scientists have found that CBD actually prevents the body from absorbing anandamide, which leaves more of it to flood our nervous system—in turn reducing our perception of pain. Dosing matters, so aim to identify your "goldilocks zone"
This might take a little trial and error and also depends on the product you're using. "Whether it's topicals or tinctures, how much CBD you take or slather on your person is important," says Palermino. "Everyone has a 'Goldilocks zone,' so you have to test and find out what works for you." The effects of CBD can be subtle, but if you're not feeling anything, consider adjusting your dosage or trying a different product altogether. "Don't write it off if you don't feel anything," says Palermino. "You may have just used a bunk product or not enough." 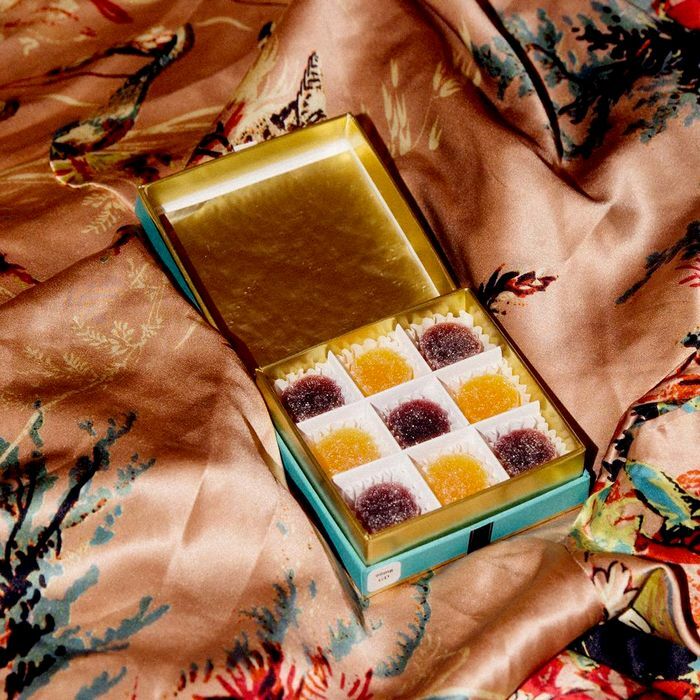 Thanks to a rapidly growing market for CBD, brands are jockeying for position with exciting claims, sleek packaging, and other elements that might set them apart from their competitors. Now that you're a little more well-versed on label-reading and the science behind the compound, take the time to investigate the products you're purchasing to ensure that you can weed through the BS to find something that actually works. The research around CBD is promising and exciting, but in a fledgling market, consumers have even more responsibility than usual to do their research—especially when the product in question claims to affect their well-being. Next up: A woke guide to cannabis, from the health benefits to its political implications.